This wildflower is widespread throughout Britain and Ireland but is most common in the north. 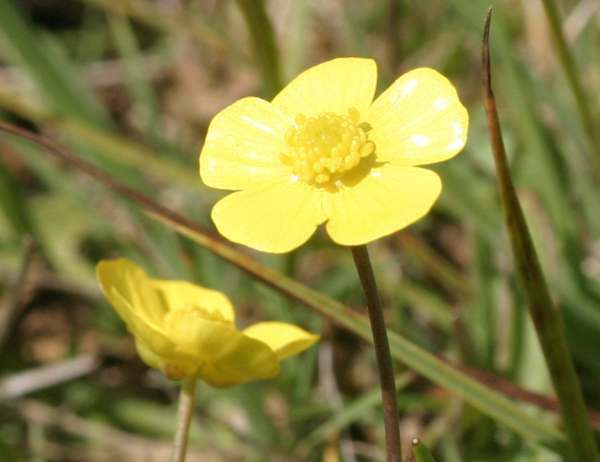 The narrow, spear-shaped leaves of this common plant distinguish it from other members of the Buttercup family with similar flowers but lobed leaves. 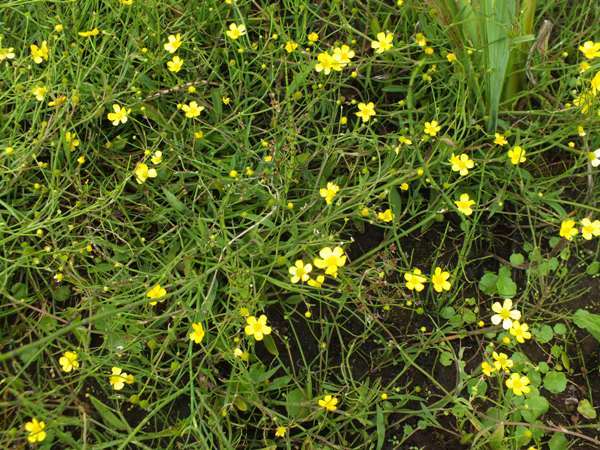 Often the branching stems are creeping, with flowers borne close to the ground, but among taller vegetation Lesser Spearwort can to a height of 40 to 50cm. The cup-like flowers have five shiny yellow petals. Lesser Spearwort grows in marshy ground such as peat bogs, wet shallow ditches and the margins of ponds, lakes and rivers. In Britain this little wildflower of spring and summer can be seen in flower from May throiugh to the end of September. 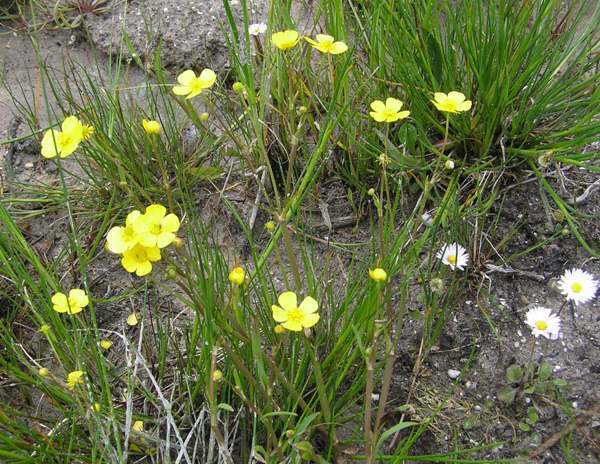 Lesser Spearwort's poisonous sap has been known to kill grazing animals, and the specific name flammula may be a reference to the inflammation caused in some humans if the sap comes into contact with their skin. The specimens shown here were seen in Wales, at Tregaron Bog (Cors Caron) National Nature Reserve, in June.